No matter where you go, your toes are coming with you. And when you have problems with your toes, you know that sooner or later you’re going to feel the pain. That’s why it’s so important to take care of your toes and do whatever possible to keep them healthy. 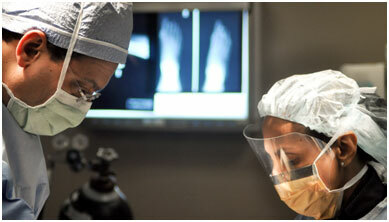 The best way to make sure that your toes are healthy and well cared for is to know what the most common problems are and what causes them.That way, if you do develop an issue with your toes you’ll know to contact board-certified foot and ankle surgeon Dr. Jamshidinia at Tower Foot and Ankle Surgery in Los Angeles. Dr. Jamshidinia is trained in all areas of foot and ankle surgery, and he specializes in treating painful and disfiguring toe problems. His facility is easy to access from anywhere in the LA area, including Santa Monica, Beverly Hills, Century City, and Marina Del Rey. One of the most common of all toe problems – present in 30% of all Americans – are bunions. A bunion is a painful bump that forms at the base of the big toe when the cartilage wears thin and the toe becomes dislocated. One of the main reasons people develop bunions is their family history. 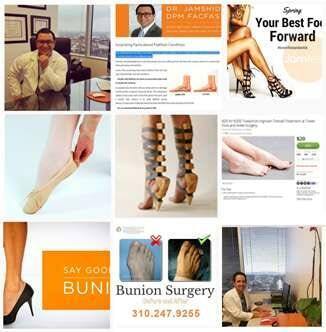 It is estimated that 40% of people with bunions got them from their genes. Another common cause – as with many other toe problems – is poorly fitted footwear. High-heeled and too-narrow shoes are among the primary culprits in non-genetic bunions, as are certain types of arthritis and foot injuries. Women are also more prone to developing bunions, especially during pregnancy. Thosethose who work in professions that spend a lot of time on their feet also have a higher susceptibility to bunions. Hammertoe is another common toe problem that affects women more than men. Hammertoe happens when one of the toes – typically the second toe, but it can be others as well – becomes bent into a claw-like position at the middle joint. Hammertoe is typically painful and over time may result in the patient no longer being able to move the toe. Hammertoe is common in women because of ill-fitting and high-heeled shoes, but it also occurs in children who continue to wear shoes after they’ve outgrown them. Corns and calluses are extra layers of skin that have thickened and grown hard on the feet. A callus refers to a flat area, while a corn typically has a raised, circular shape. While corns and calluses can occur on any part of the foot, the most common areas include the ball of the foot, outside the pinky toe, and between the fourth and fifth toes. Often corns and calluses create pain for the patient while walking or wearing shoes. Another common problem people have with their toes is the growth of toenail fungus. Toenail fungus comes from a fungal infection and typically causes the nail to turn white or yellow. If left untreated it can spread deeper into the nail, which may cause the toenail to thicken or crumble at the edges. Toenail fungus is common on the feet because they spend so much time in warm, dark places. Ingrown toenails tend to occur at the corners or sides of the toenails. Here the nail actually grows into the skin of the toe, an event that often results in swelling, redness, and pain. Left untreated by a doctor, an ingrown toenail can also lead to infection and further complications. Fractured, dislocated, or sprained toes can be among the most painful foot injuries. A fracture happens when the bone of the toe is cracked or broken. This often occurs when something is dropped on the toe. Dislocation is when the bone is not broken but pushed out of place. A common cause of dislocated toes is unnatural stress put on them by poorly fitted shoes. Finally, a sprain occurs when a patient damages the ligaments that connect the bones in the toe. A typical cause of a sprain is a stubbed toe. Often, the toes will look twisted or bent out of their normal position when they’ve experienced one of these injuries. But sometimes they won’t. You may only have a hairline fracture or the swelling may mask further injury underneath. Whether you’re trying to find treatment for a bunion or get custom orthotics to relieve your toe pain, you don’t have to suffer any longer. 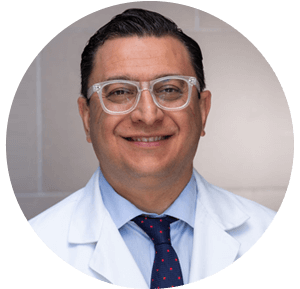 Dr. Jamshidinia is a board-certified foot surgeon in Los Angeles with expertise in minimally invasive hammertoe repair, cosmetic bunion correction, and more. You don’t have to live with painful toe problems any longer. Call Dr. Jamshidinia today at (310) 247-9255 to schedule your consultation.